I just received my February issue in the mail and was pleasantly surprised to also discover that a special issue is on the way, slated for newsstands on January 30. It's all about organizing, a subject that hasn't been tackled yet in any full-size special issue. (There were a few Good Things for Organizing digests a while back.) I'm really looking forward to it! As for the February issue itself, I haven't had time to fully absorb it yet, but let me just say that upon first glance it appears to be absolutely gorgeous: inspired, through and through, with all sorts of imaginative and beautiful ideas and photographs. You will all be impressed, I'm sure! I just made the apple oatmeal scones from this issue and they were really tasty. Highly recommended! I'm looking to do that soft chocolate cake with the orange-zest creme anglaise for Valentine's. Looks utterly decadent! 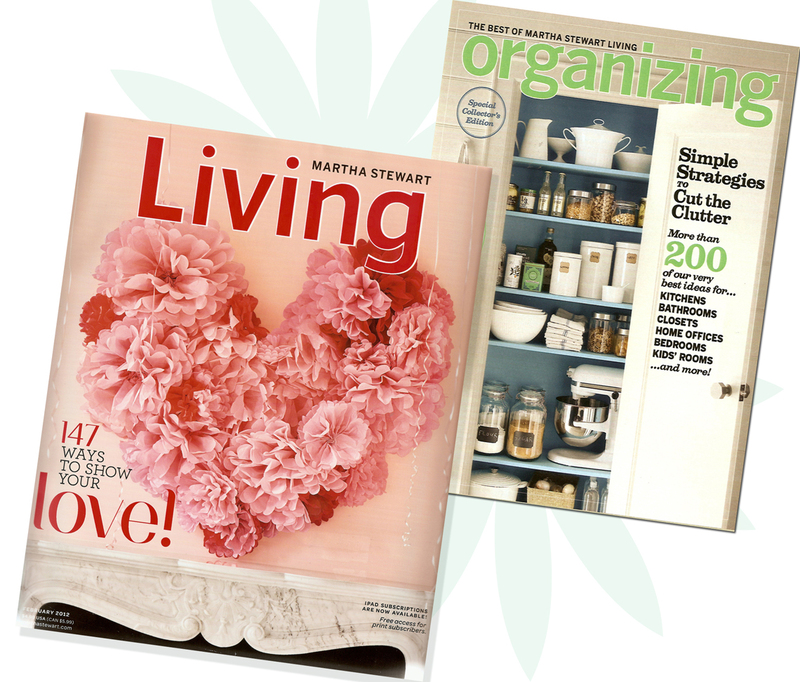 Looking forward to getting a copy of the "Organizing", green and white, my favorite colors!